Spring 2019 Specials!! Drooly Bear Cabin: Your Raystown Lake Getaway! Property 2: Spring 2019 Specials!! Drooly Bear Cabin: Your Raystown Lake Getaway! Raystown Lake Lodge. Unrivaled, Unobstructed Panoramic Lake/Mountain View! Property 5: Raystown Lake Lodge. Unrivaled, Unobstructed Panoramic Lake/Mountain View! **NEWLY RENOVATED **Cabin 10 Min to Raystown's James Creek Boat Launch! Fun!! Property 10: **NEWLY RENOVATED **Cabin 10 Min to Raystown's James Creek Boat Launch! Fun!! 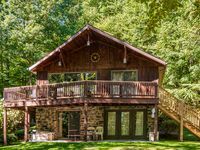 Cabin in the woods near Raystown Lake and Allegrippas Trail! Property 21: Cabin in the woods near Raystown Lake and Allegrippas Trail! A Charming & Spacious Mountaintop Retreat with Spectacular View! Property 28: A Charming & Spacious Mountaintop Retreat with Spectacular View! Night Free! Chalets of Raystown-Chocolate Moose Chalet-Huge home 7Points Marina. Property 30: Night Free! Chalets of Raystown-Chocolate Moose Chalet-Huge home 7Points Marina. Raystown Lake Area! House and Barn on 48 Secluded Acres! Property 33: Raystown Lake Area! House and Barn on 48 Secluded Acres! Andrus Cottage located 3/10s of a mile from a beautiful cove on Raystown Lake. Property 34: Andrus Cottage located 3/10s of a mile from a beautiful cove on Raystown Lake. Mountain Top Getaway, Panoramic View! Property 37: Mountain Top Getaway, Panoramic View! Raystown Hole in One, the Place With All the Fun ! Property 43: Raystown Hole in One, the Place With All the Fun ! Yellow Creek Cottage located overlooking Yellow Creek & near Lake Raystown. Property 44: Yellow Creek Cottage located overlooking Yellow Creek & near Lake Raystown. Chalets of Raystown-Shamrock Chalet - Massive home 7 Points Marina. Property 49: Chalets of Raystown-Shamrock Chalet - Massive home 7 Points Marina. The property was fantastic. Felt like home away from home. Made the bachelor weekend all the more special. Enjoyed our stay during February. Nice cabin with essentials provided. Sits atop a big hill or small mountain and in between Raystown Lake and Penn State, which was important to us. Owners were excellent communicators. Would stay again.